ItemBARK_1990.0003.0029 - Unidentified Chinese man; circa 1915. Item BARK_1990.0003.0029 - Unidentified Chinese man; circa 1915. 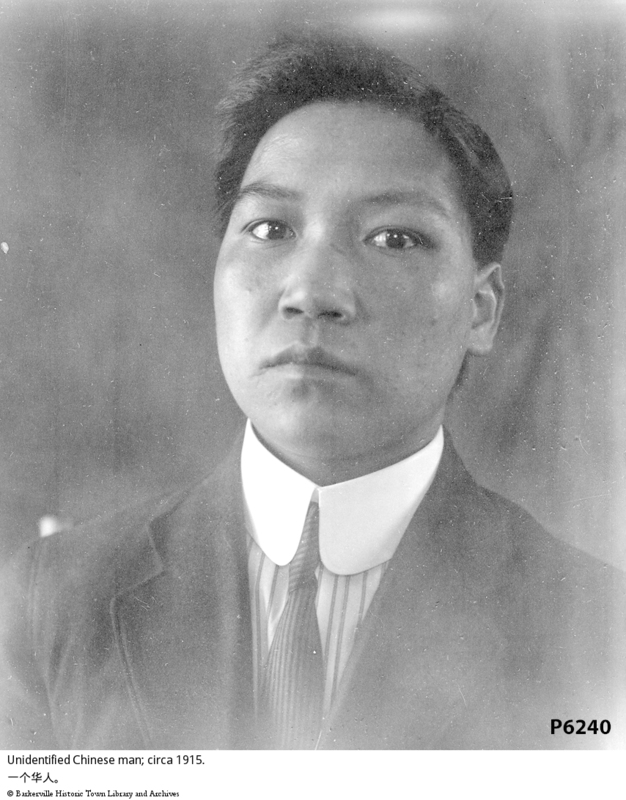 Unidentified Chinese man; circa 1915. Depicts a head and shoulder view of a Chinese man. He is wearing a suit jacket, striped shirt with a white collar and a dark striped tie.